In Comcast’s Q4 earnings call, CEO Brian Roberts acknowledged that some of cable’s gain last year probably reflected a market share shift, reversing several years in which cable was losing share to satellite and telco. Another striking pattern in the numbers, though, was a dramatic shift in the ratio of new video to broadband subscribers. 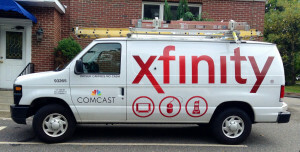 Comcast, Charter and TWC collectively added 856,000 broadband subscribers in the fourth quarter. That put the ratio of video additions to broadband additions at 20.1 percent. In the same quarter last year, that ratio was a negative 15.2 percent (combined video losses of 35,000 to broadband additions of 647,000). The 32.3 percent year-over-year growth in broadband subscribers among the three cable providers reflects continued strong demand for high-speed internet connections. The big swing in the video numbers, however, suggests that cable operators are also getting much better at selling video along with broadband. Broadband, in other words, may be the main selling point for consumers, but growth in broadband is now pulling video along with it in a way it hasn’t before. One explanation could be skinnier video bundles lowering the total cost of broadband and video for new customers. According to Comcast’s cable president Neil Smit, however, 75 percent of video additions in the quarter came from people buying high-end packages. That might imply that 25 percent came from skinny packages, but a Comcast spokesperson told Re/Code that the other 25 percent came from a variety of packages, not just skinny bundles. Another, potentially more troubling possibility is that cable operators are getting better at leveraging their dominant market position in broadband to crowd out potential video competitors. If you price standalone broadband access high enough, someone thinking of relying on Netflix and Sling TV for their video might think twice if the broadband provider bundles in a video package at a modest incremental cost over broadband alone (cord-stuffing?). Cable operators would no doubt argue that affordable bundles are pro-consumers. But as BTIG Research analyst Rich Greenfield has pointed out, federal regulators have a pretty well-developed theory at this point about cable’s market power in the broadband business, which led the FCC and the Justice Department to block Comcast’s attempted merger with Time Warner Cable even as they allowed AT&T to acquire DirecTV. DirecTV was not a major broadband provider. The feds are also clearly concerned about cable’s market position in video delivery, as reflected in the FCC’s recent move to consider forcing pay-TV providers to open their set-top boxes to competing device makers — a move not so incidentally endorsed this week by the head of the Justice Department’s antitrust division. Cable operators could invite even more unwanted scrutiny if they appear to be using their market power in one business to protect their interests in another.